And of course, it turns out that the Jedi Master was right. The 3D versions have been confirmed since 2008 (and if you’d like to know more about that, then come back Sunday). It turns out, though, that Hamill got the order a little mixed up, because not only is smelly-vision real, it’s available before the 3D films are! This is totally exciting, guys. ScentSciences has come up with a product called ScentScape®, which, via witchcraft and dark sorcery, can provide a scent experience along with your gaming and movies. Check it out (here)! Now, I think everyone can agree that Star Wars is a natural first experiment for this technology. You can read The Daily Wh.at’s original post on the smell-o-vision here. According to RedFerret, “This year at CES, ScentSciences released a bread loaf sized product that appeals to your nose . . . of all things. Movies that have been created with their ScentEditor software can make you smell all the smells that you would imagine to be on screen. . . . 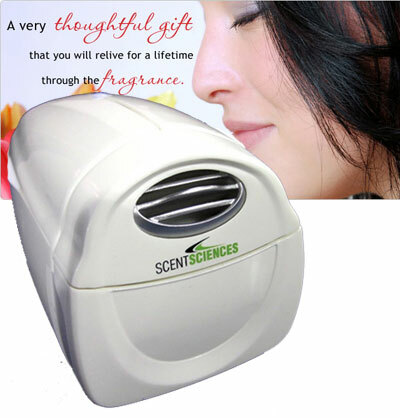 There is a scent cartridge that can hold up to 20 distinct smells and any smells you want can be custom ordered. These cartridges should last up to 200 hours and needless to say that’s a lot of time to smell things.” ScentSciences has pretty much the same report in their description; however, they add that you can plug it into your computer, and you can even use it on systems as archaic as Windows 98. “The addition of these scents adds a uniquely immersive experience,” they claim, and they’re not wrong. The more I think about it, the more awesome it begins to seem. I mean, think of it. Hot sand on Tatooine, smog on Coruscant, the ozone smell of a lightsaber — what must seismic charges smell like? What about the forest on Endor? Oh, a forest smells great. Force lightning? What about the shiny new ship smell on the Second Death Star? I have one word for you: Execllent. And it’s selling at very reasonable $70. Ah, Prophet Hamill, any idea where I can sign up for the puppet SW to be played on my front yard? This entry was posted on 13 May 2011 at 12:21 PM and is filed under Fun with tags Mark Hamill, movies, random. You can follow any responses to this entry through the RSS 2.0 feed. You can leave a response, or trackback from your own site.